Euro is trying to finish current correction; pair rebounded from level of 78.6% and may start new ascending movement. 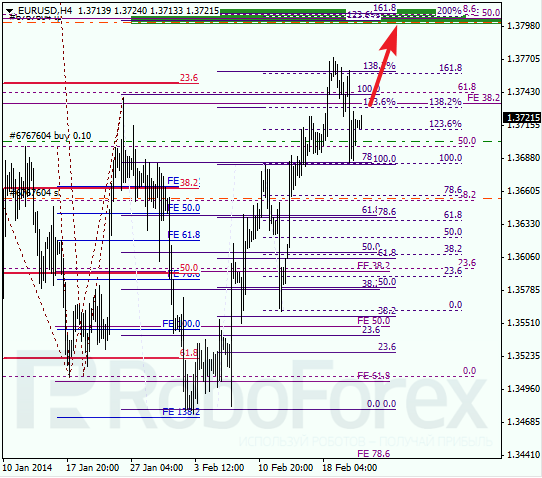 Main target is still at 1.3800, where there are several important fibo-levels. 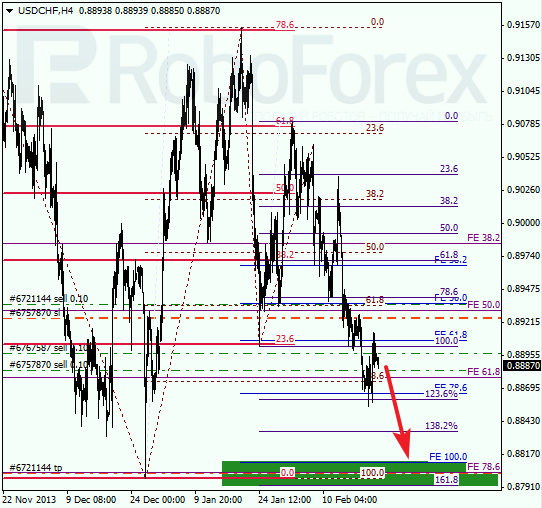 As we can see at H1 chart, current correction reached local level of 38.2%, which is right inside temporary fibo-zone. 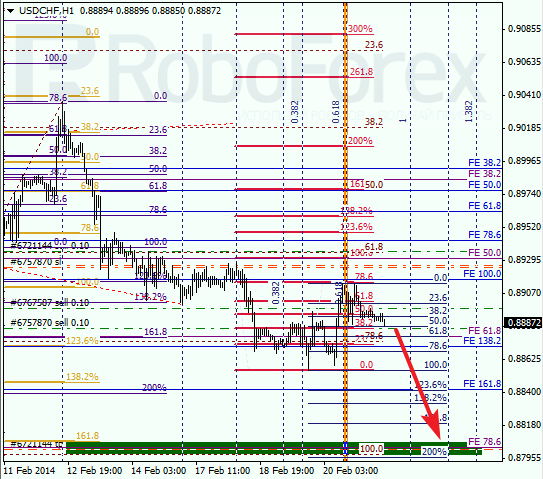 Main target is less than 100 pips away, so it may be reached by the end of the day. Franc is still controlled by bears; local correction was supported by one of intermediate fibo-levels. In the future, instrument is expected to start new descending movement towards 0.8800, where there are several fibo-levels. 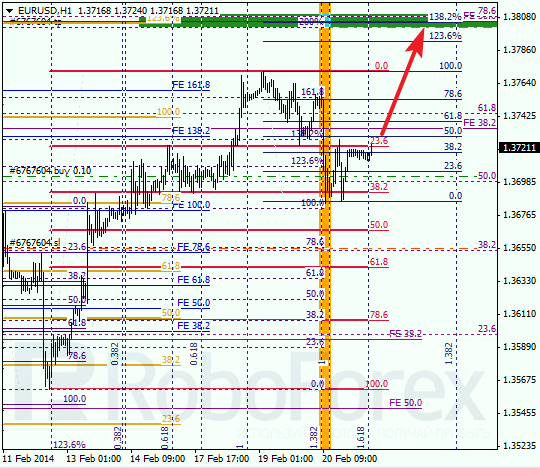 As we can see at H1 chart, current correction reached local level of 78.6% and rebounded from it. In the nearest future, bears may reach new minimum and then continue pushing price downwards to reach targets in lower part of H1 chart. Later these levels may become starting point of new correction.